Rob Stern is the Co-Chair of the Firm’s White Collar, Investigations, Securities Litigation & Compliance practice group. 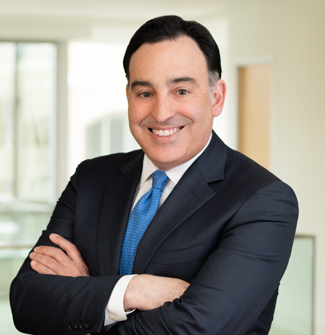 Rob is a nationally ranked securities litigator with extensive experience litigating civil and government enforcement actions on behalf of financial services institutions, Fortune 100 companies and officers and directors of public companies. For the past 20 years, Rob has handled many of the most complex financial services and civil and governmental securities matters. Rob possesses particular expertise litigating claims involving accounting-related matters, structured products, mortgages, futures and derivatives. Rob routinely represents financial institutions, public companies, officers and directors. Rob is a faculty member for the Practicing Law Institute’s Securities Litigation program. Rob has also been nationally recognized as a leader in securities litigation by The Legal 500 and SuperLawyers. On August 17, 2016, jurors in a New York federal court convicted Sean Stewart on criminal charges of conspiracy, securities fraud, and tender offer fraud after more than five days of deliberation. Stewart, a former investment banker for JPMorgan and Perella Weinberg Partners, was charged with leaking confidential information about health care mergers to his father, Robert Stewart, on at least five occasions over the course of four years. The case provides a victory to Preet Bharara, the United States Attorney for the Southern District of New York, after a series of setbacks in the form of unfavorable decisions in the aftermath of the Second Circuit’s decision in U.S. v. Newman, the repercussions of which have been covered extensively on this blog (see here, here). As the first conviction post-Newman, U.S. v. Stewart provides some insight into the kinds of facts that might support an insider trading charge in the Second Circuit going forward and is thus worthy of analysis.